Esta capa foi feita para o selo Portfolio Penguin da Cia. das Letras. 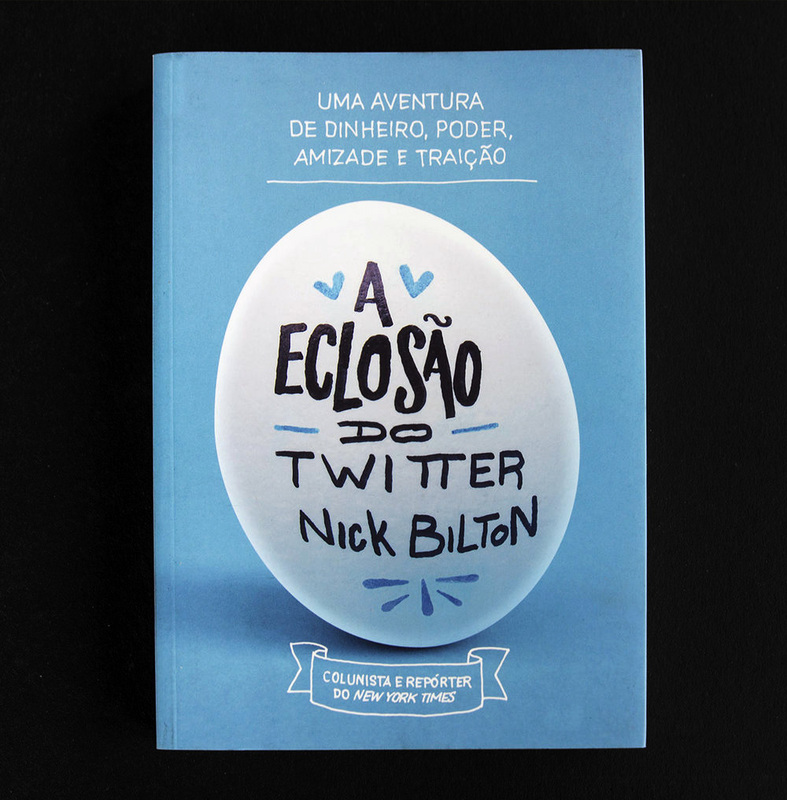 O símbolo do Twitter é o pássaro, e o ovo foi a solução que surgiu para mostrar o processo de nascimento do Twitter, que é o assunto do livro. Tentei tirar o processo de criação de dentro do computador, escrevendo o título no ovo e depois fotografando ele. This cover was done for Cia. das Letras, the publisher that edits Penguin Books in Brazil. It is the translated version of the book 'Hatching Twitter'. The idea was to use an egg in order to show the birth of Twitter, which is symbolized by a bird. I tried to get the creative process out of the computer, writing the book's title directly on the egg and then photographing it.